If you are looking for a comfortable holiday apartment for rent in the Albanian Riviera, we can recommend this modern and spacious apartment in Orikum. If the location of your holidays is important to you, then you will appreciate Orikum’s stunning coastal scenery, as well as the flexibility to be able to explore other nearby attractions of the Riviera. The apartment is located in the modern Soleal development which was built in 2009. The apartment building has its own outdoor swimming pool and an underground car parking. This building is overlooking the mountains of Karaburun and the Bay of Vlore from one side and the swimming pool and the town centre from the other side. From the inside of the apartment you can admire the view of impressive Karaburun mountains and stunning sea view of Bay of Vlore. You will definitely appreciate the convenience of having easy access to the local beach, Archeaological Park of Orikum, Llogara National Park, city of Vlore, beaches in Radhime, historic villages of Tragjas and Dukat and many other nearby attractions. All the local shops, restaurants, bank, public transport and town’s other amenities are just around the corner. If you’d like to make a booking and your desired dates are available, please fill in the form below. We will respond to your query asap (we speak Polish and English – mówimy po polsku i angielsku). Click to select on each day that you’ll be staying in the apartment. The price for rent of the apartment starts at 20 Euro/day outside of the summer season (summer season is from mid-June till mid- September). Please contact us for exact quote. Additional apartments in the same development building can be rented for a bigger groups of people. Please email us, and we will either help you to arrange the renting or put you in contact with their owners. The apartment is well equipped and very comfortable for a stay of group of up to 4 people. 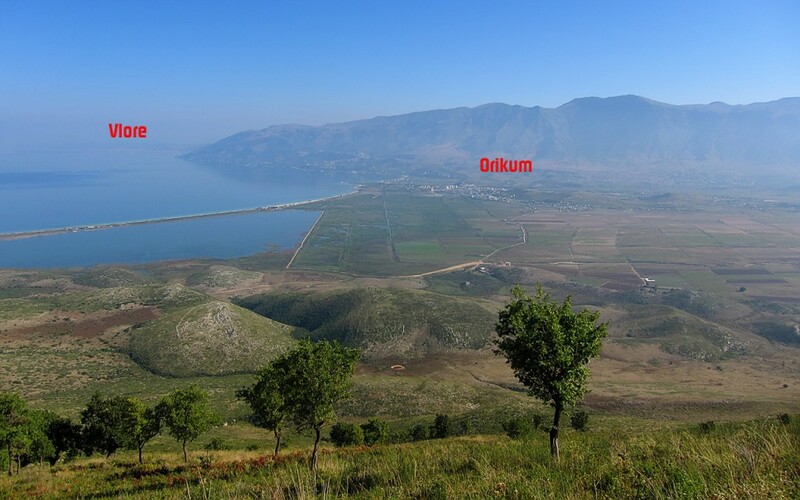 The apartment is situated approximately 100m from the main street of Orikum with clear and unobstructed panoramic views of the Karaburun mountains and the Bay of Vlore. The apartment is located approximately 500m from the main beach in Orikum. The beach can be seen from the balcony. The apartment is fitted with air conditioning for hot summer days and also heating for the cooler winter evenings. One bedroom with master double bed where 2 people can sleep. Mountains view from the window. Lounge and dining area with patio doors opening onto well sized balcony. The lounge area have foldable coach and an armchair where if necessary 3 people (2+1) can sleep in comfort. Fully fitted kitchen with electric/gas oven and hob, fridge, freezer, electric kettle, iron and ironing board. Bathroom with shower cabin, w.c., w.h.b., bidet, washing machine. Front balcony with unobstructed views of the mountains and sea. The balcony is equipped with additional table and chairs – perfect for having a breakfast outside or admiring the surrounding views at sunset while enjoying a drink. Outside swimming pool with a bar and a place for barbecue. Free parking space outside of the property. Chargeable parking space in underground parking (the charge is 2 Euro/day paid to the administrator). House linen is provided in the apartment, but please bring your own towels. The lounge area is equipped with wall mounted lcd screen with built in dvd player (dvd, cd, mp3, divx can be played). We only approve bookings for a period of minimum 5 days. Please note, there is a cleaning surcharge of 25 Euro added with each booking. See it in the Google Earth: Soleal development. Note that the most recent map is from 2007 – before this complex was built.